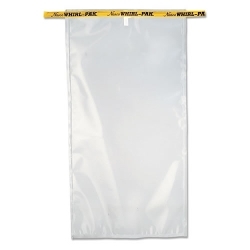 15" x 20" x 4 mil 184 oz. 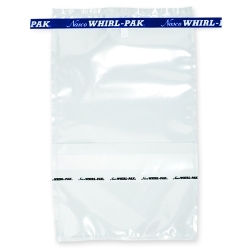 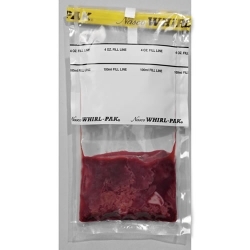 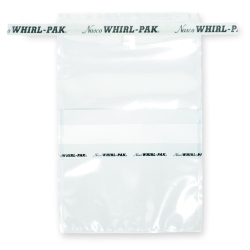 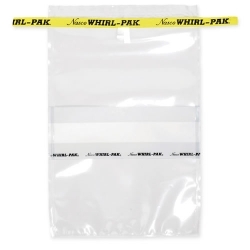 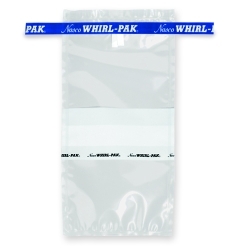 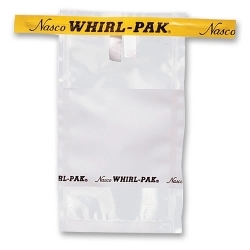 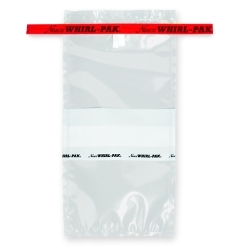 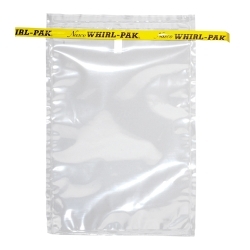 Whirl-Pak Sampling Bags with Write-On Blocks | U.S. 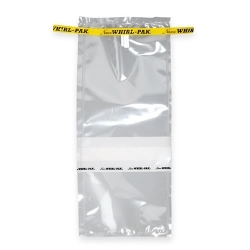 Plastic Corp. 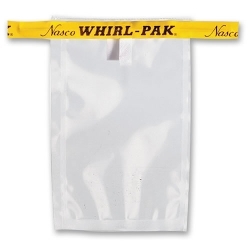 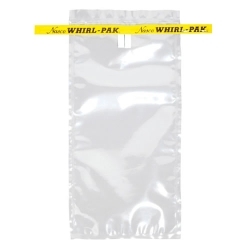 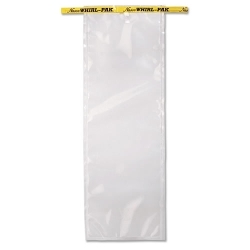 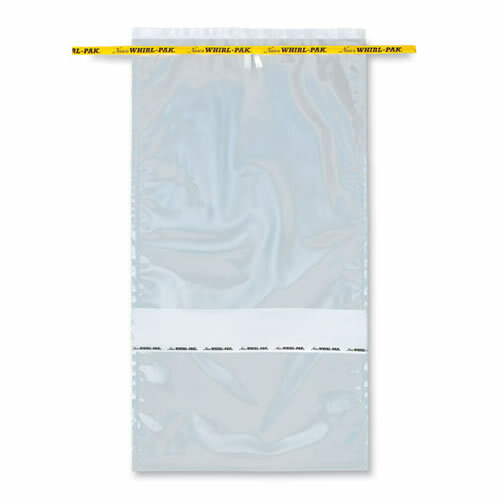 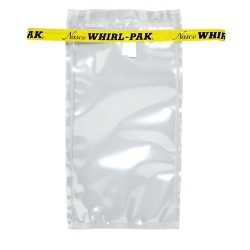 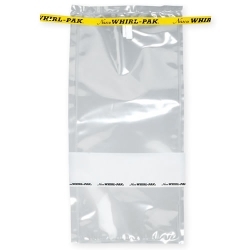 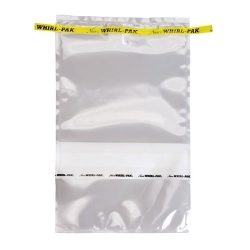 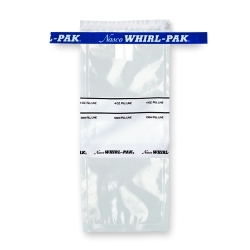 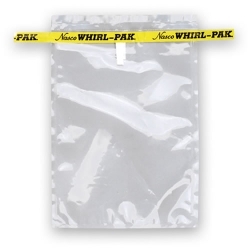 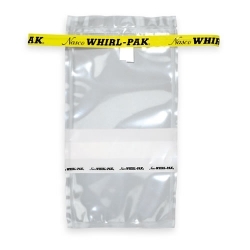 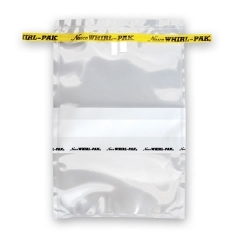 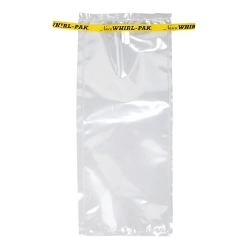 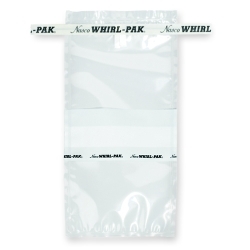 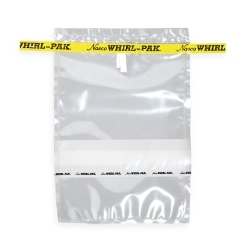 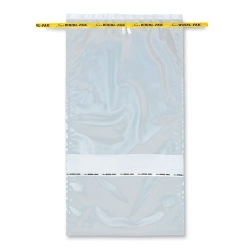 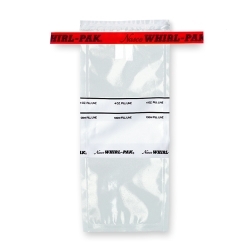 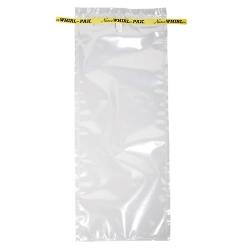 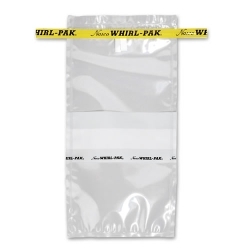 Giant size Whirl-Pak® bags to accommodate large size samples and eliminate reducing into smaller pieces. 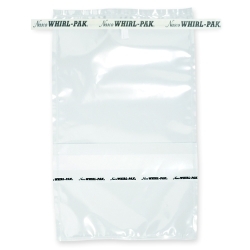 The closing tab has one round and one flat wire to ensure the bag is closed securely. 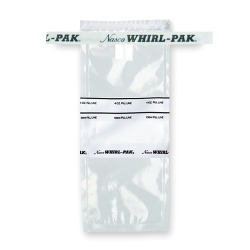 Fold tab over tightly 4-5 times when closing, volume measurements are approximate. 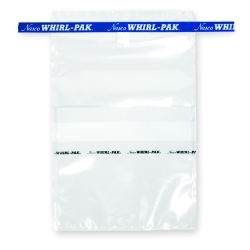 The white, write-on strip makes sample identification easier and more convenient. 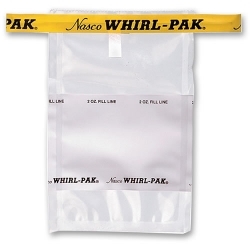 It's easy to write on this white strip using an ordinary ballpoint pen, pencil, or felt-tip marker. 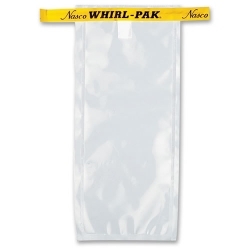 The paper-like finish virtually eliminates ink smearing, and provides a surface that will accept a variety of writing instruments. 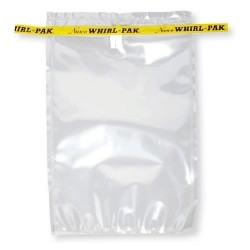 Capacity is measured in fluid ounces when the bag is closed and tab is folded over. 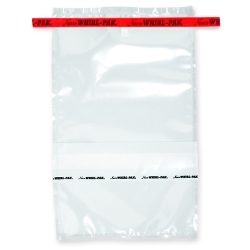 Volume and dimensions are approximate&semi; bags should not be used at temperatures above 180°F (82°C). 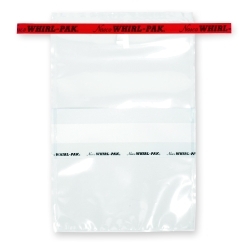 Bags can be frozen to any temperature, even liquid nitrogen - careful handling required after freezing. 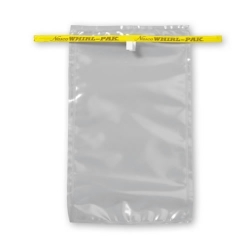 All bags are sterilized after manufacturing.